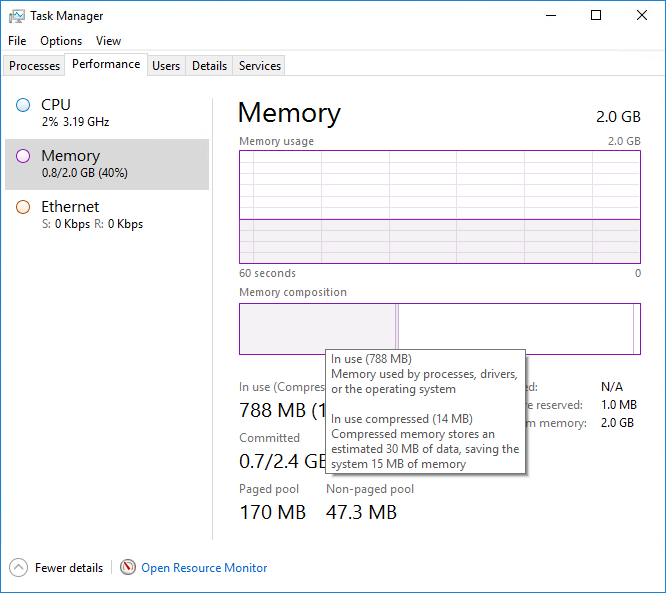 Enabling Memory Compression – Windows 2016 & Wndows 2019 Workstation! 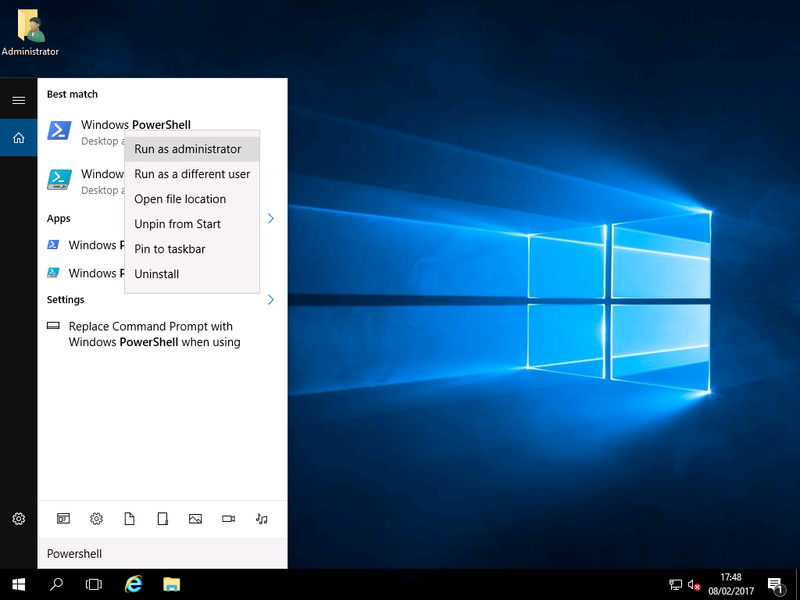 Windows 10 introduces a layer between the pagefile and normal paging activity which allows for the compression of all pages moved to the modified list. This means that when MM feels memory pressure, it will compress unused pages instead of writing them to disk. 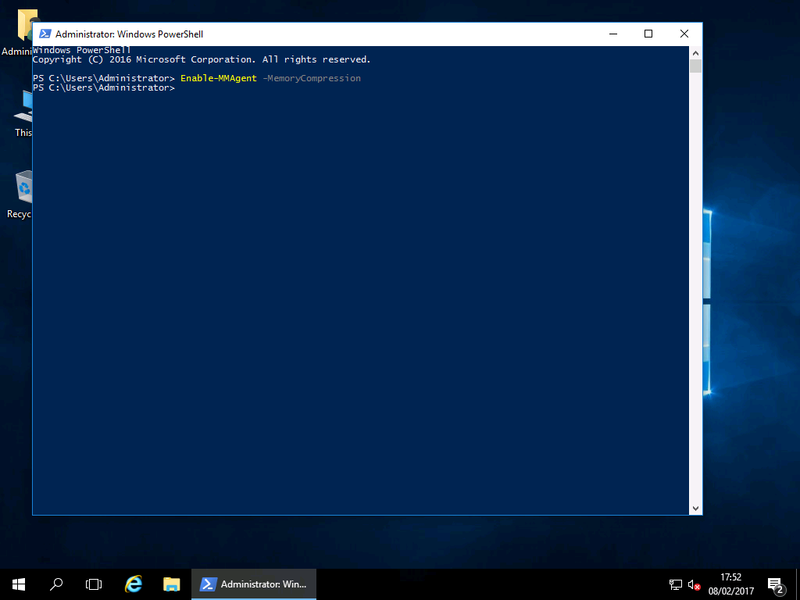 This is disabled by default on Windows Server 2016. Nothing appears to have happened, but it is now enabled and running. 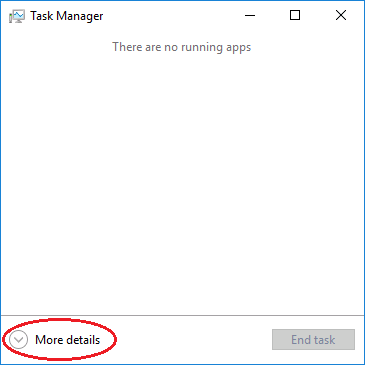 4) If it is the first time you have opened the Task Manager you may be greeted by this rather small, unhelpful window. If you got more than 64gb ram, isnt this usefull to leave it, as if it doesnt write it to the physical disk, then its operating at ram speeds, wont that give a huge boost to perfrormance or at least cut down on time opening a unused program for a while? is memory compression important if i got 64gb ram? can i leave it for performance gains (if there is any) or is there any downsides to not compressing it? I personally would keep memory compression enabled. The performance impact of turning it off would be negligible in your case as you have so much RAM. If you are using memory intensive applications and it’s enabled, anything that is running idle will be ‘squashed’ so it uses as little as possible. 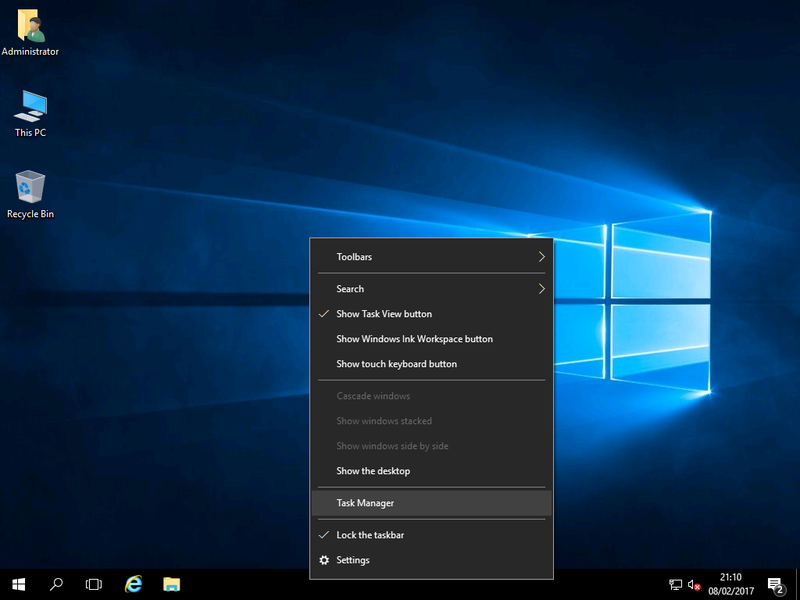 Also, search something on the search box of an Explorer window, it will gill you an option to enable search index. Also, add a keyboard for a language that uses a non-standard form of the Latin alphabet or a non-Latin alphabet to the user that will be used, to get Optional Featues. But it you want to enable optional features for other user, you need to use another language to that user, ot if you delete your user account and re-create it, you need to add a new language as well, to have Optional Features. Loaded wireless lan but cant get wi fi sorted,not sure where missing .net or upload which demands lots opts and fails each time in asp ado updates are the cause or simple other things as havent completed yet,got lenovo ideapad 4gb 1tb .Resolution is really nice and as 8.1 had problem with touchpad,keyboard decided 2016 good choice ,ha, couldnt solve that but guess its newness alround! The cursor and screen kept going out of control,opening settings side bar etc ,locking up during downloads or anything. Wireless wifi ipsec problems at network on surface tab too ,group policy override was all info could get too do. Not sure what relation too what is hanging networking too etjernet adapter no lnown driver loaded wireless wifi,etc? I read that because of the fast access times in SSDs, Prefetch is useless? Any thoughts?